VoIP Logic released on the 1st December, their annual VoIP – Demographics, sales and technology survey. The company has been researching the industry demographics, sales, and technology from a service provider’s perspective since 2013. Such was the value of the data that they compiled in the initial survey, which produced information that allowed them to better understand their customers business requirements and provide a glimpse into inside industry trends, that they extended the survey in 2014 and 2015. Consequently, the 2015 is a more complete compilation of service providers’ year-on-year feedback and provides valuable trend data and expert analysis. Polycom still dominate the VoIP handset market but they did lose some market share to Yealink who have made up substantial ground in sales during 2015 to leapfrog Cisco and take second place in the hosted PBX marketplace. Surprisingly, Softphone, browser-based clients are performing strongly and are outselling mobile-based apps. This is a good indication that companies leasing hosted PBX services put a high value on collaboration as well as on mobility and ubiquitous communication. Another interesting nugget of information gleaned from the report is that sales from low-touch point sales channels, these are primarily web sites, and web based campaigns, are falling year-on-year. The shift in performing sales channels is towards high touch point direct sales (shops, kiosks, retail outlets and value-add resellers). When we consider these notable findings in more detail we can see some interesting trends particularly in the technology fields. In the report the three prevalent technologies were, in first spot, hosted PBX, with SIP Trunking coming in second, and data networking services taking third spot. There are good reasons for these technologies to come to the fore, as they are the very services that the service providers are pushing. It is in the service provider’s interests to host the IP PBX themselves – or even outsource it – as they can then deal only with providing a service to the customer and not have to concern themselves with onsite hardware or software. For the customer, hosted IP PBX services have now become an acceptable norm as cloud services, such as SaaS (software as a service) become so common in SMBs (small medium business). Indeed, cloud services from Amazon, Microsoft, Google, Dropbox and many others have effectively replace the on-premises hardware/software/licenses model in small and medium businesses. What’s more, cloud services have now become so engrained into the thinking of IT managers and IT services decision makers that the alternatives of hosting their own on-premises servers – something that only a few years ago would have been the preferred choice for IT – is now considered a backward step to be preferably avoided. Therefore, what we are seeing with the year-on-year growth on the hosted IP PBX services is that SMBs’ are comfortable to now migrate even mission critical services such as telecommunication out to the cloud. In addition, they are perhaps unwittingly – several respondents declared a reliable brand name, to be their number one criteria when choosing a vendor’s VoIP solution – leaving the choice of hardware and software to the service provider. This is of course ideal for the service provider because they only have to fulfill their service contract with the customer and are free to deploy whatever hardware and software, and even locate their servers where ever they like. The importance of having this service freedom is that the service providers need only concern themselves – with regards hardware – with supplying a good choice of handsets as they are the only visible component. This then leads us nicely onto another key finding in the VoIP Logic 2015 report, that of the changing handset demography in sales and technology. VoIP Logic’ report found that Polycom were still the largest VoIP handset supplier, with Yealink usurping Cisco to take second place. As we have discussed earlier the handsets are the only visible hardware that the customer can see, and touch so it is in the service provider’s interests not to skimp and cut corners were handset supply and provisioning are concerned. The result is that service providers have heavily pushed Polycom to their clients as they have good price points, pleasing ergonomical design and above average performance. Yealink on the other hand have grown quickly in this market niche producing SIP IP handsets that have exceeded expectations in both build and high definition voice quality. Yealink have a large range of SIP IP handsets for all type of users, from handsets for power users such as receptionists and call center supervisors to humble visitor desk-phones. Cisco, have always had quality products with great ergonomical design that never failed to impress. However, Cisco’s quality and prestigious brand comes at a high price point and that is why they are losing ground to the newcomers in the market. Cisco handsets will always perform well and come with unrivalled support and technical features such as firmware upgrades and security downloads and patches. However, new kids on the block like Yealink, can now match Cisco in the support and features game so all that really remains is Cisco’s prestigious name – and their hefty prices. Softphones, are also on the rise according to the VoIP Logic 2015 report and outperforming and out selling mobile applications. This is a bit surprising because for a while it looked like the humble Softphone was falling out of favour as mobility was preferred to the traditional PC or even a lap top. Consequently, mobile apps such as Skype for iPhone and Skype for Android become preferable to their more static cousins on the PC. However, browser-based Softphones appear to be making a comeback with new technologies such as WebRTC making inroads in the browser technology market. 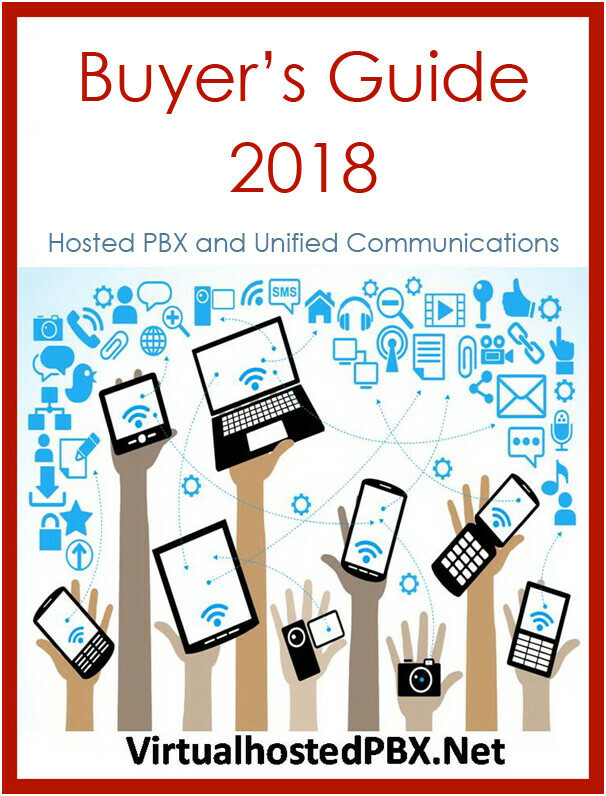 The last key finding is that sales of PBX services are increasing in the high-touch areas such as stores and through value add resellers, at the expense of online sales. Additionally, customers buying criteria has taken a significant shift with brand recognition and existing customer relationship, declining sharply in importance. Moving in the other direction is customers’ interest in price and seeing voice services bundled with other communication products.